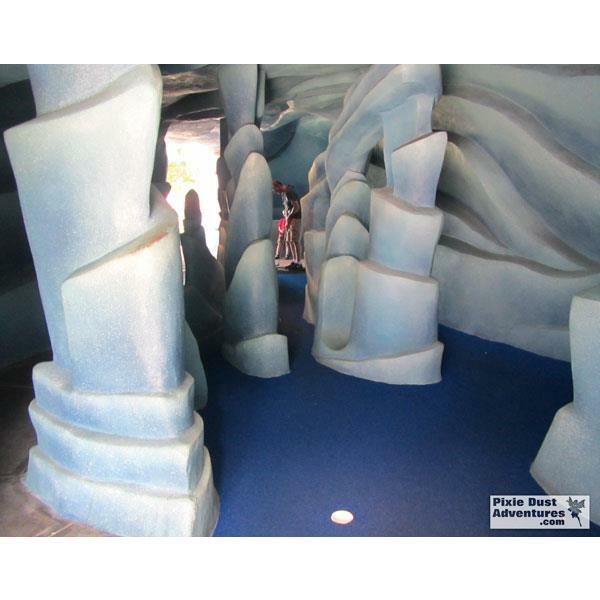 Fantasia Gardens Mini Golf - The Gardens Course - hole 8. Watch for the lightining and thunder when you get the ball in the hold in this cave. Watch the walls carefully for the lightning gargoyle.